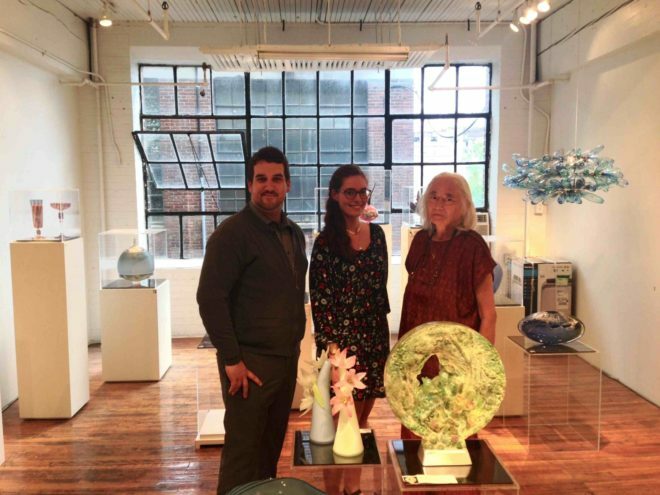 AWARD: Glass art association identifies top emerging artists in the U.K. The British organization known as the Contemporary Glass Society has announced its annual glass prize winners for 2016. A special 16-page publication entitled "New Graduate Review" featuring all the winners of 2016, as well as runners-up, will be published as part of the award, that includes a top cash prize of £ 250 (about US $329). Connor Garton of the University of Sunderland took first prize, Jade Tapson also of the University of Sunderland took second, and Becky Dennis of Nottingham Trent University took third. 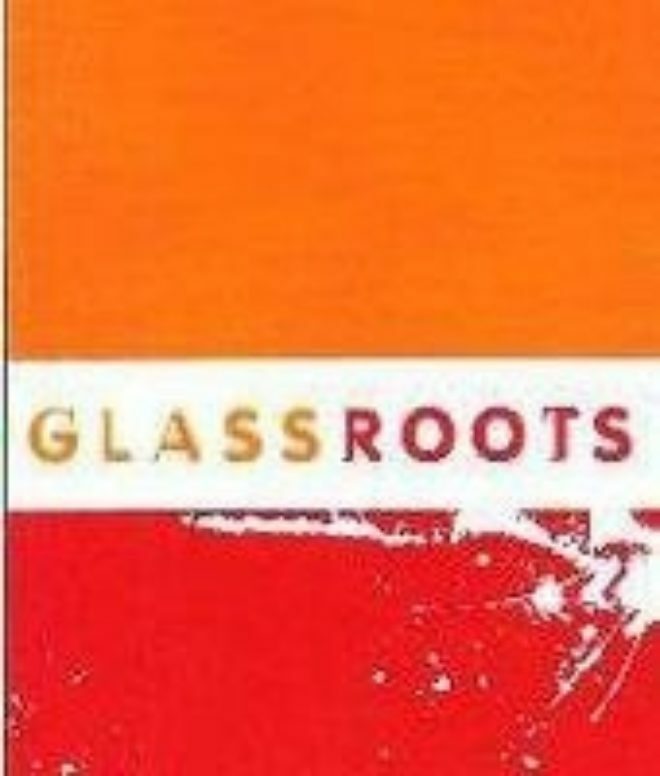 The full list of winning artists can be seen here. 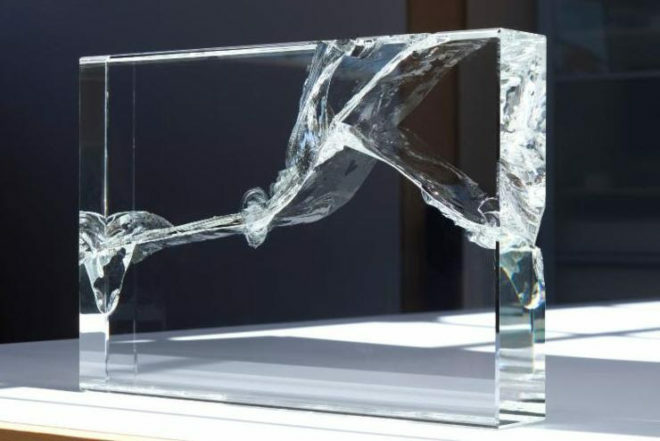 Judge and CGS board member Karen Murphy stated that the work made by these young men and women "represent a snapshot of the best of British art glass coming out of our educational establishments this year." Richard Meitner's "thesis exhibition" just opened in the Gallery at the University of Lisboa, where he has been a visiting professor since 2008. His employer is also now his alma mater, thanks to Meitner's pursuit of a doctorate in glass. 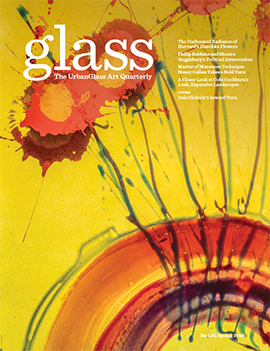 In his PhD exhibition, Meitner "sets out to define what he believes art really is and is about, and how we should be teaching it and thinking about it", as he explained in an email exchange with the GLASS Quarterly Hot Sheet. It's Meitner's personal belief that there are "quite a few glaring and highly consequential mistakes in how we currently think about and discuss art, and how we teach young people what art is and how to make it". The exhibition is tied in with his thesis for his newly achieved doctorate in art, specifically focused, unsurprisingly, on sculpture. 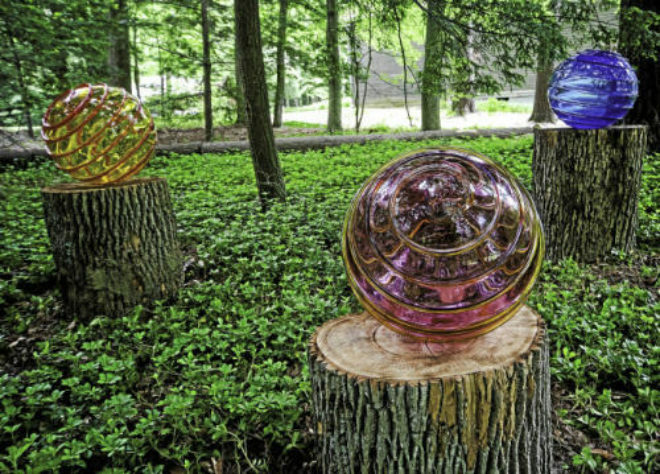 When art dealer Jim Schantz was given the opportunity to curate the first all-glass exhibition at the annual contemporary and experimental sculpture show at the grounds of the historic Chesterwood, a Stockbridge, Massachussets, landmark, he saw an opportunity to push some of the leading glass artists he represents into new territory — environmental artwork. 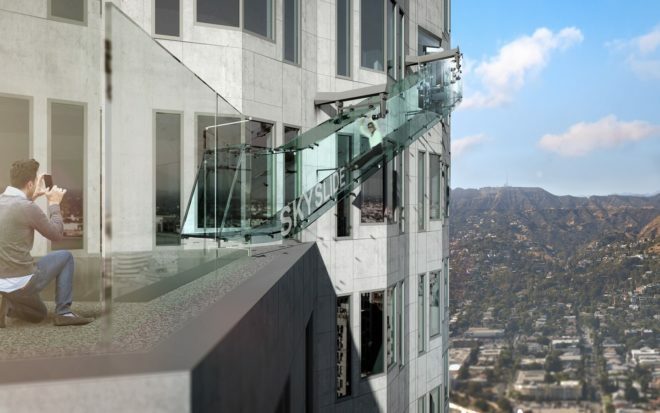 “It was an opportunity for them to realize their visions and perhaps work outside their comfort zone,” Schantz says in an email exchange with the GLASS Quarterly Hot Sheet. He reached out to artists Martin Blank, Peter Bremers, Nancy Callan, William Carlson, Daniel Clayman, Sidney Hutter, Richard Jolley, John Kiley, Thomas Patti, Kait Rhoads, Richard Royal, and Thomas Scoon, some of whom were well-acquainted with the challenges of exhibiting work outdoors, while others had never done so before. 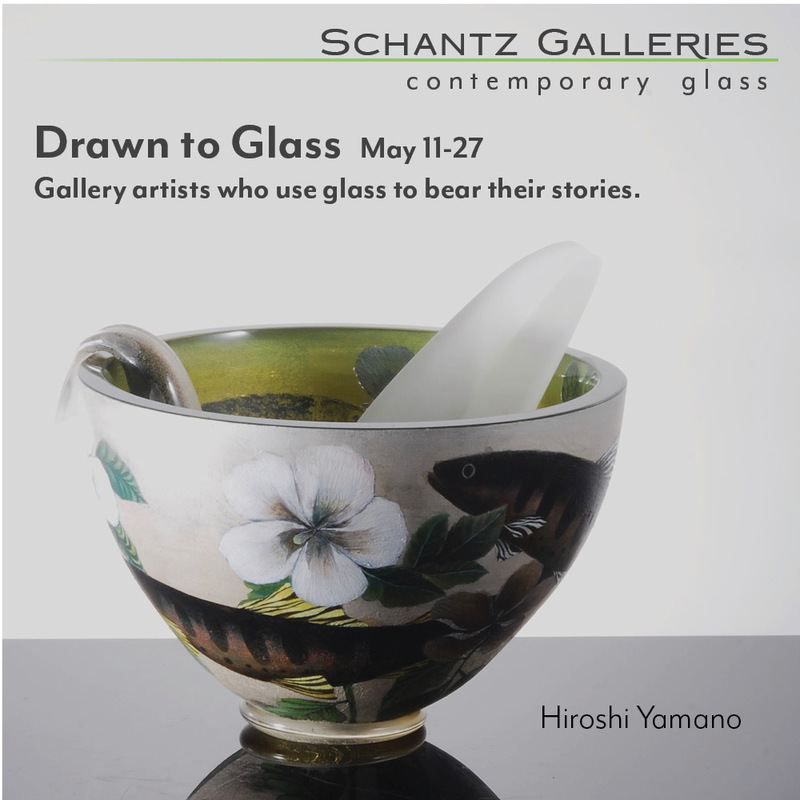 The result is the exhibiton "The Nature of Glass," which will remain on view through September 18, 2016. 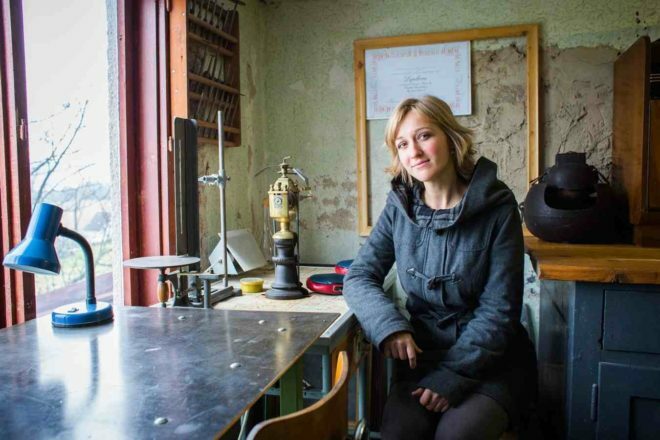 Pavlina Cambalova was the 2015 artist in residence at Toyama. The Toyama City Institute of Glass Art in Japan is accepting applications for its annual 6-week artist-in-residence program that will take place from October 20 through November 30, 2016. The application materials state the residency will go to a glass artist "who has potential to stimulate the glass art scene in Toyama by his/her works, regardless of age, gender and techniques he/she utilizes." The successful applicant will have access to a full suite of facilities to create his or her own work in a supportive and enthusiastic environment. The work made by the resident artist will receive a solo exhibition. 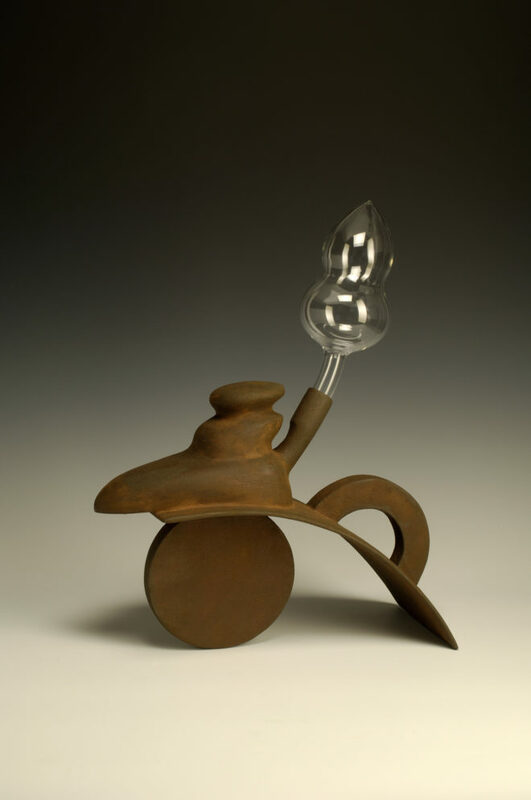 Along with creating, the artist is expected to participate in lectures and demonstrations, and to interact and share his or her knowledge and experience with the many students and fellow artists on campus. Elena Lee, owner of the longtime Montreal gallery that bears her name, recently turned 74 years old. Aware of a new set of skills needed for success in the new world of social media, as well as the ever-growing number of galleries closing, Lee recently decided to take on two co-owners to help share her workload and finances. Her plan is to sell Elena Lee, but first, she must pass on her knowledge, expertise, and collection to her new partners. Florie Guerin and Pierre Boudreau are two young devotees of glass, well versed in the realm of art, ready to take on the flaming torch that Elena is eventually planning on handing them.